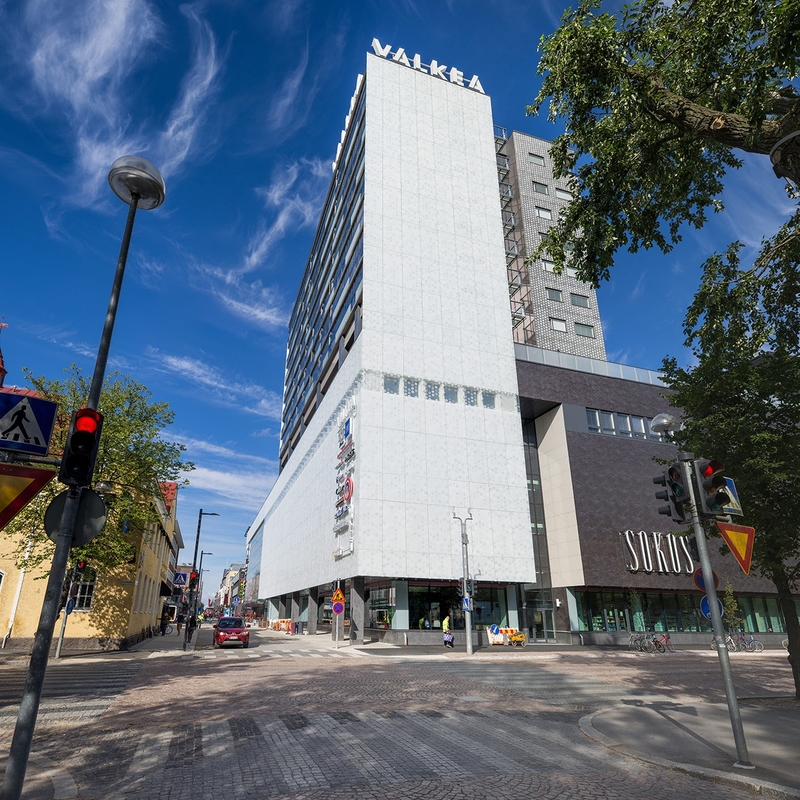 Working at UKI Architects I was responsible for the final patterned façade design of the shopping centre Valkea. I worked in collaboration with manufacturers so we could optimize the pattern to work with multiple glass panel sizes with the minimal amount of silk printing masks. 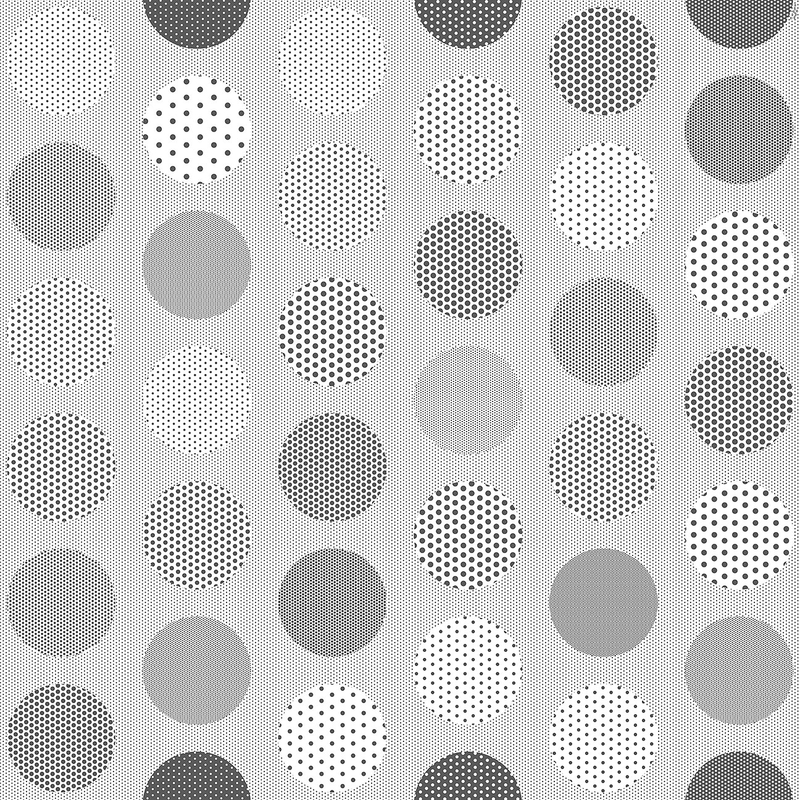 And also the final pattern layouts and adjustments of dot sizes. 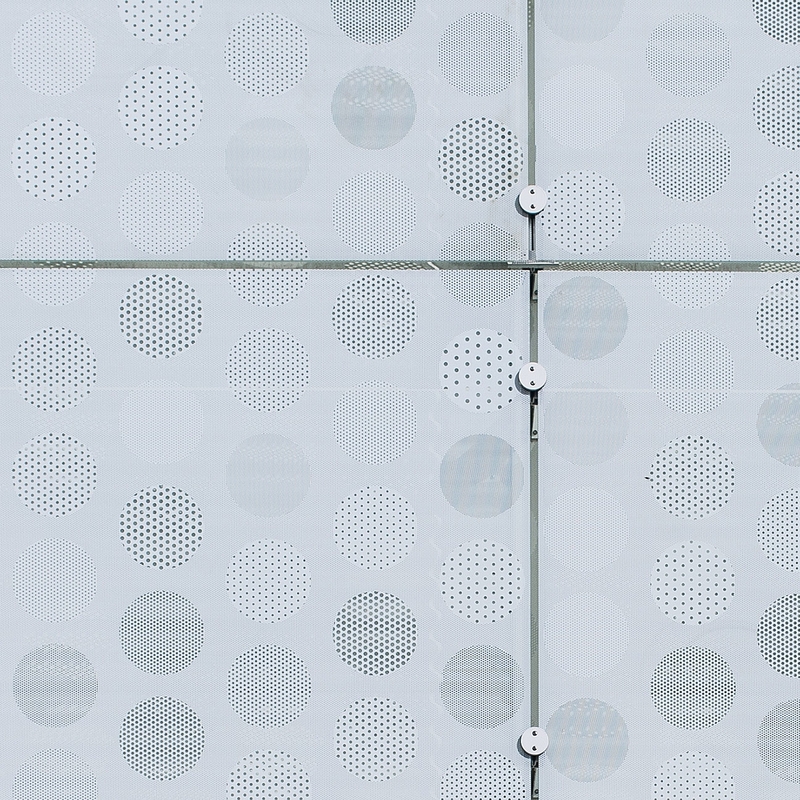 Complete façade consists of 620 glass panels using 6 different silk print masks which can be used on different glass panel sizes without breaking the pattern. More opaque panels cover the wall and are lit during nighttime. 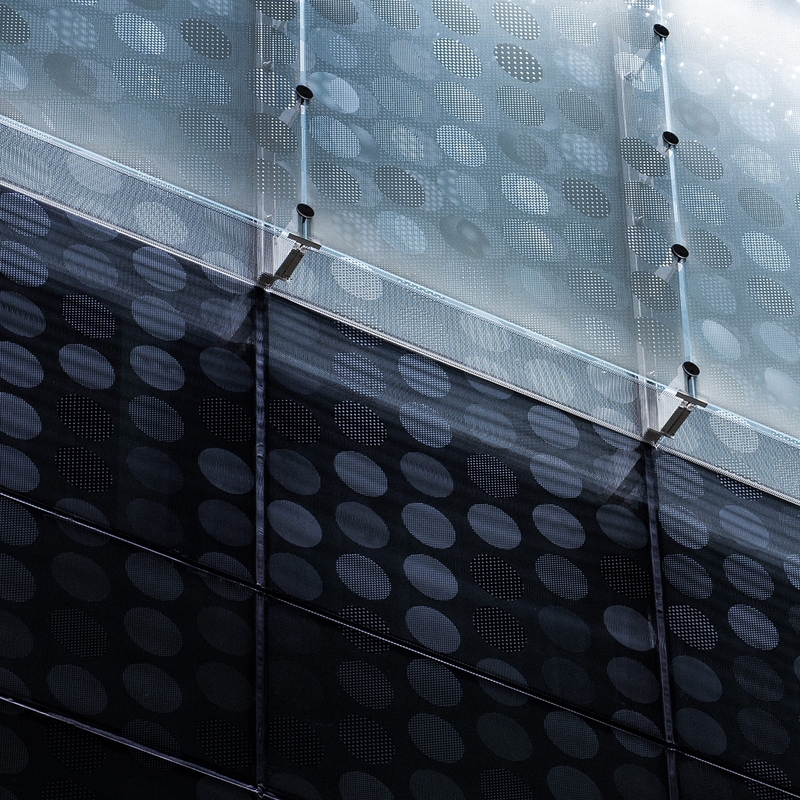 More transparent panels are situated on street side windows on floors 2-4.